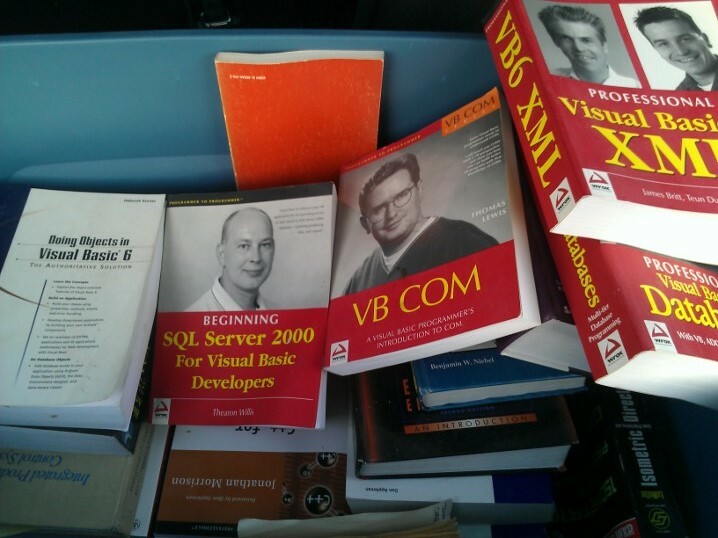 This weekend, my wife finally convinced me to donate my old technology books to the local library. I called the library to make sure it was open and discuss the donation process. To my surprise and insult, I had to beg the librarian to take my books . The feeling I got was “Sir, I don’t want your overly large and no longer relevant books”. How dare she! This was an emotional event for me. These books are absolutely key to having and keeping a job that I love. You see, as an Industrial Engineer, I always feel “more dumber” than my Computer Scientist friends and colleagues. Books are my great equalizer. If I cannot outsmart you, maybe I can out read you! I could not help but go through the various books. 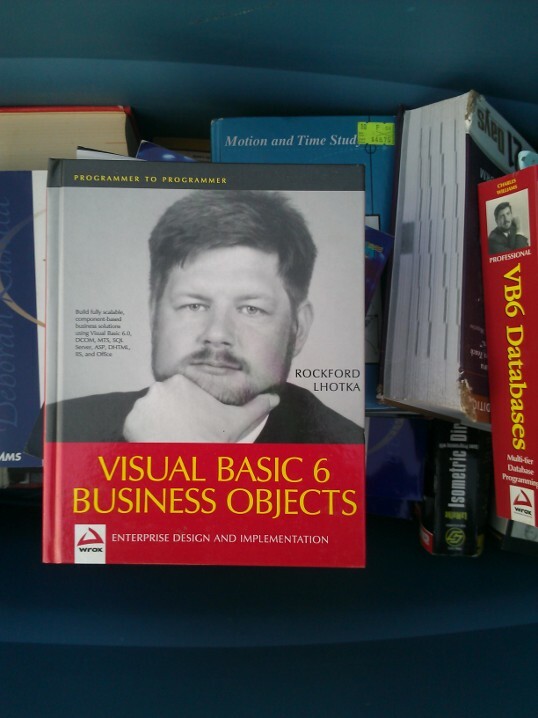 There is one book in particular that stood out and I was not able to donate, “Visual Basic 6 Business Objects”. I kept this “overly large and no longer relevant” book for my personal collection. This entry was posted in Academic, General Simulation. Bookmark the permalink. I am going through the same process right now and can relate to the emotional connection that I have with books that changed me forever. Your description sounds like you are stepping through the “way back” machine to the early days of PS…was it called RAMS back then? I didn’t realize “The VB Kid” Josh contributed to the project way back then. Good times!